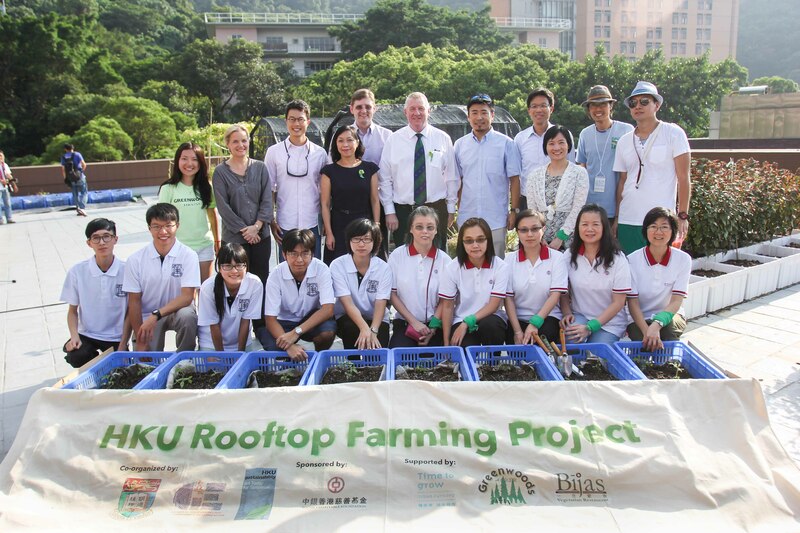 ‘HKU Rooftop Farming Project’ is officially launched today. 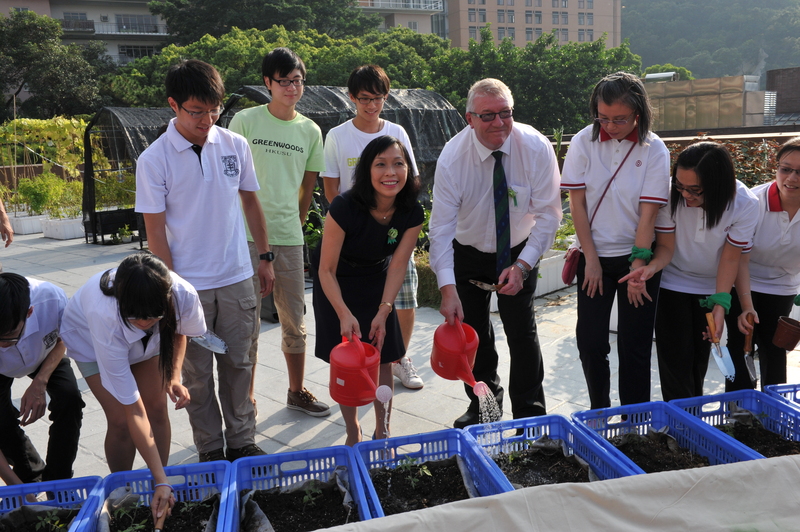 Dr. Steven Cannon, Executive Vice-President (Administration and Finance) of HKU and Mrs. Ann Kung, Head of Personal Banking (General Manager), Bank of China (Hong Kong), joined by HKU students and volunteers from Bank of China (Hong Kong), to officiate the ceremony. Guests joining the kick-off ceremony. Mr. Fai Hui, instructor of the upcoming General Education course, is invited to lead two workshops to review the farm’s condition and plan for the next season.